There’s nothing better than a delightful foundation review to get you ready for a weekend of erm…slathering foundation all over your face? Which is why I have done the selfless thing of providing you with a review of one of my favourite foundations ever. And I am a girl who has tried a lot of foundations. It has become a slight issue. This is 100% the foundation that I always come back to. 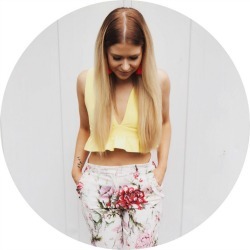 I’ve used some amazing bases from excellent brands like Bobbi Brown, Mac and Estee Lauder, but to be quite honest with you, nothing has quite matched up to this. The main reason I love it so much is because of the price. At £6.99, it’s a huge bargain that you can’t even try and shake your head at. Another big plus for me is that it actually does what it says on the bottle. While in principal I strongly disagree with calling it a “25 hour” foundation (what use is that to me? When and why on this green earth would I wear foundation for 25 hours? ), it really does last a long time. It well and truly lasts all day on my face, even without primer. And that, my friends, is an amazing feat. Makeup never stays on my greasy, cheek infested face. It also has fantastic coverage. I have pretty uneven skin and coverage is really important for me in a foundation – this is definitely a heavy coverage foundation, so if you’re into the fresh faced thang, it might not be for you. HOWEVER, if you are like me and enjoy masking any hint of your features, then this is one of the best. As a heavy coverage foundation, this one is quite thick and a bit gloopy (like Augustus Gloop). I believe it is oil based too, which isn’t for everyone I know. 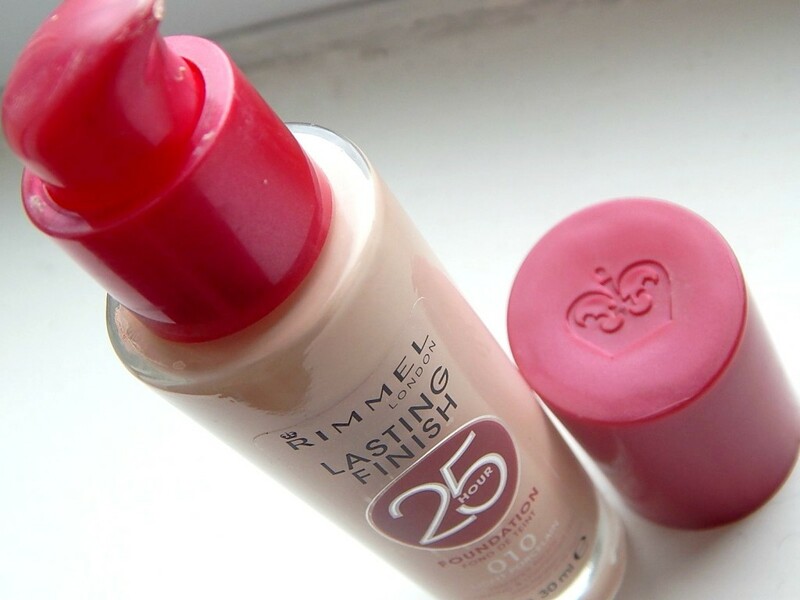 However, while it definitely is a heavy foundation, it’s also surprisingly light for the coverage you get. I don’t tend to feel like I have a lot on my face, which is fabulous for those of you who aren’t keen on that “heavy” makeup feeling. I also like that it’s oil based, because the oil seems to help it last longer through some oily wizardry. Whether you prefer a dewy look or like a matte/powdered face, this works really well. 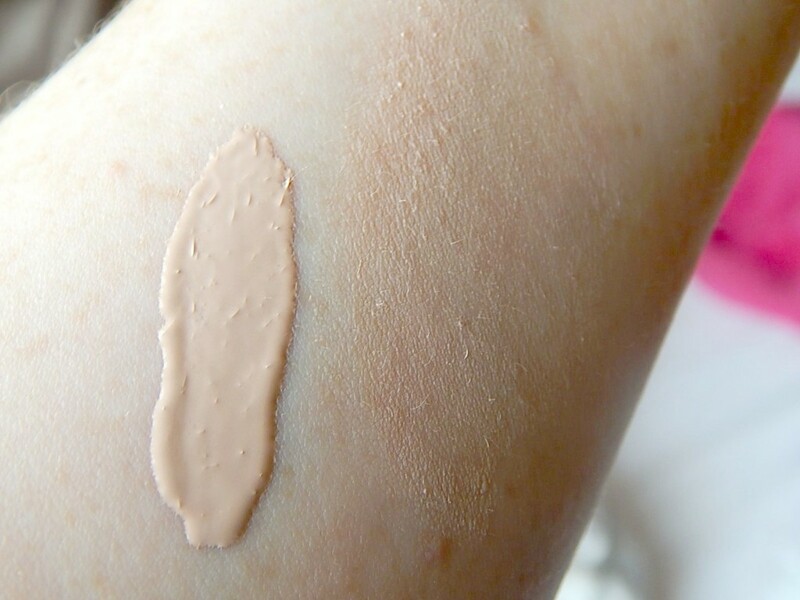 And here is a little swatch of Rimmel’s Lasting Finish 25 Hour foundation, the bit on the right has been semi-blended. I got it in Light Porcelain 010, which is several shades lighter than what I usually trowel on my face. Unfortunately, my life has been ruined so I can no longer tan (sob and woe) because of skin problems. All of my foundations were a bit dark, so I had to launch myself at the Pale Gail side of life with gusto. Light Porcelain 010 a nice pale colour (the palest they do I believe), which works really well for my skin tone. 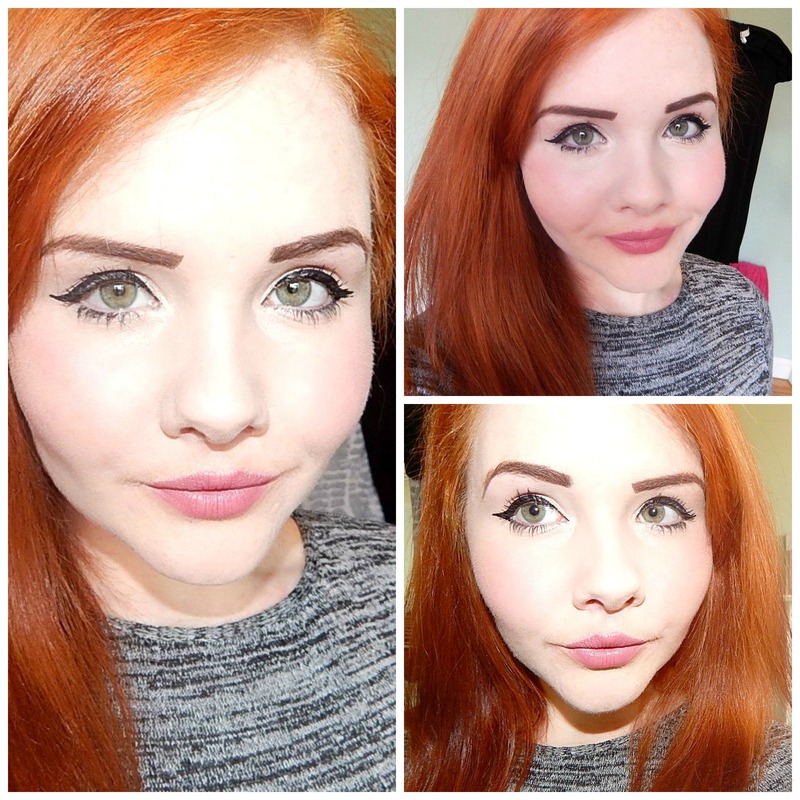 It’s a warm colour, which I think would suit most pale gals and blends well when you apply. I like to use my little foundation egg to apply this magic foundation, but a stippling brush works just as well. And now you can see it on my gompy face. I considered doing a before and after, but I didn’t want to alarm anyone. Safe to say, I have a very spotty chin at the moment, but I also permanently suffer from dark circles and some discolouration of my cheeks. 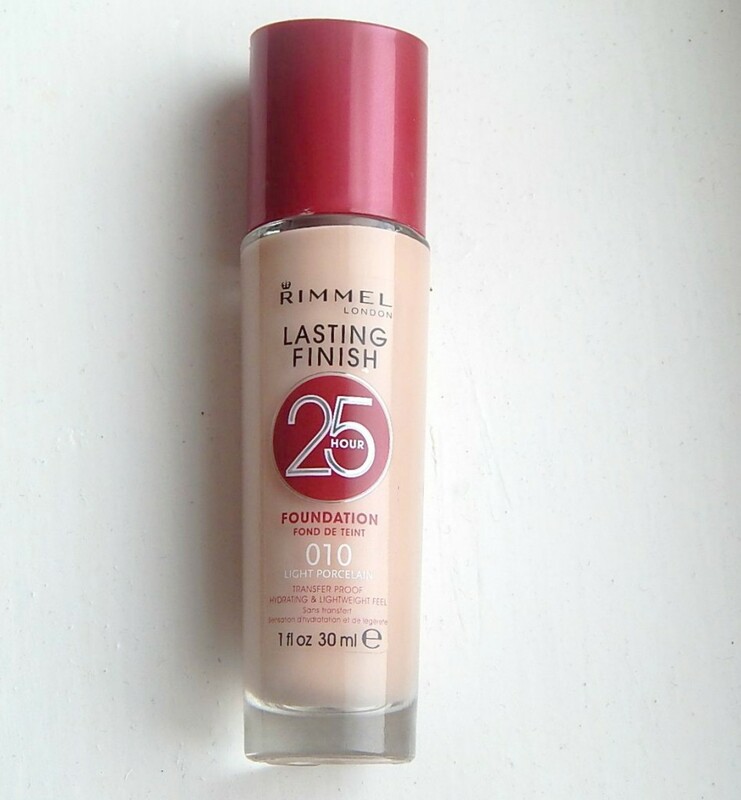 Rimmel’s 25 Hour Foundation covers these nasties absolutely perfectly. The picture on the top right is without flash, but I’m sure you can see how well this covered my GIANT MOONFACE. What do you think? 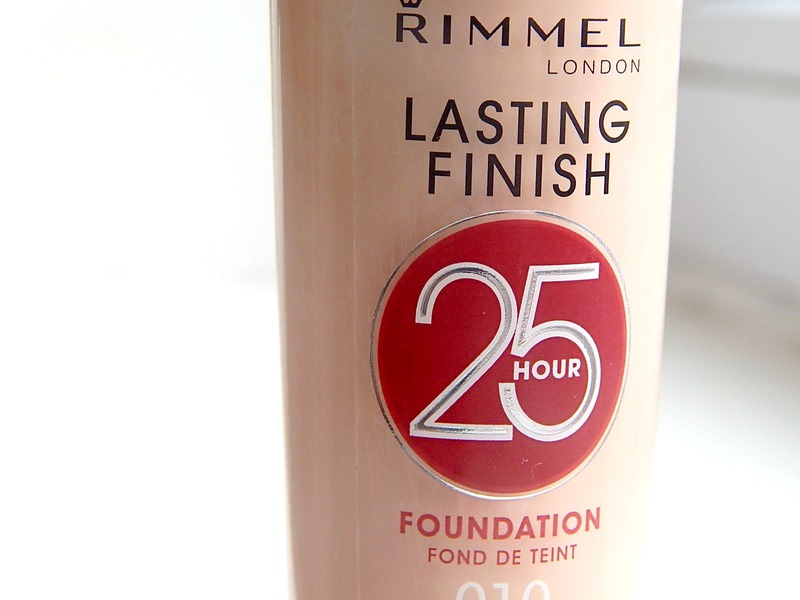 Have you used Rimmel’s Lasting Finish 25 Hour Foundation before?